Get ready for warmer weather by working up a gorgeous floral afghan! 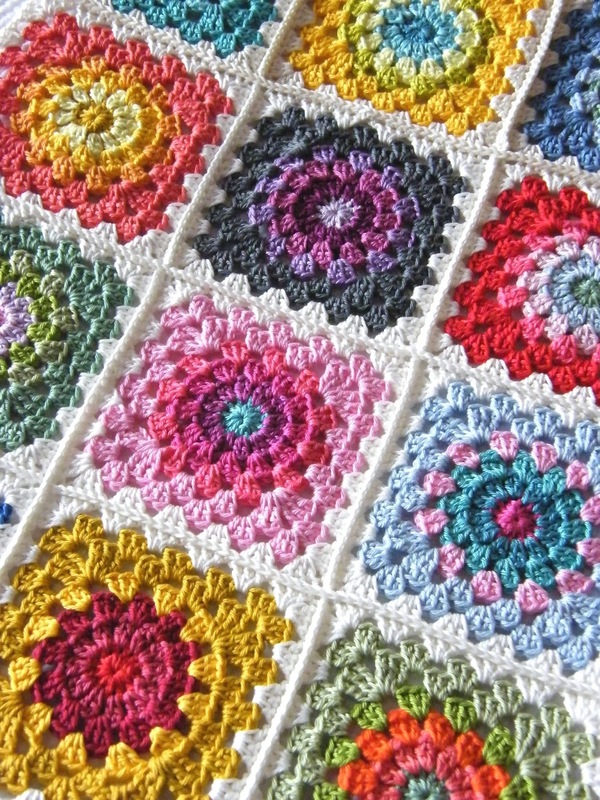 This Happy Flower Crochet Block from Hook and Bake is the perfect way to celebrate spring. The floral squares look amazing in bright colors, and if you do each one in different colors you’ll have a garden of your own before the flowers outside are even in bloom! This is a great way to use up partial skeins of yarn, or you could make each square the same colors for a lovely coordinated look. Either way, whether you give the completed afghan as a gift, make the squares into adorable coasters, or decide to make something for yourself, this free crochet pattern is one you need in your arsenal. I am trying to find a free crochet pattern for lg babywipe box. I’ve been searching for a while, no success. Can anyone help? I know it’s out there somewhere. We like to get together as a group to work on projects. This makes a great group project as individuals can work on their own squares and then bring them together for a nice gift for a mutual friend.